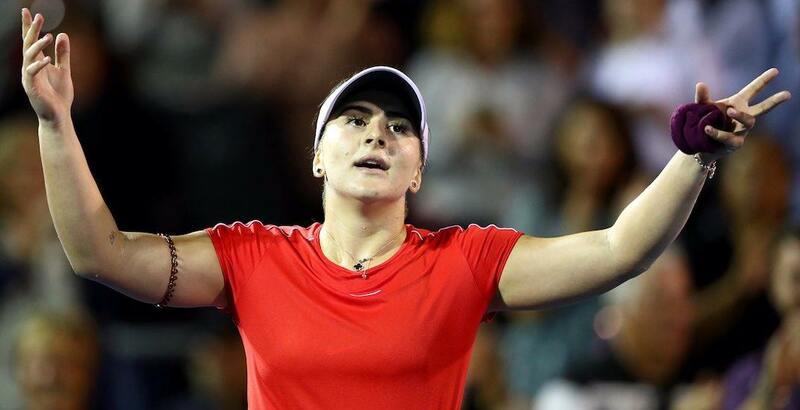 Bianca Andreescu is having one heck of a start to the 2019 tennis season. Competing at the ASB Classic in Auckland, New Zealand, the 18-year-old Canadian has been an upset queen. Ranked 152nd on the WTA Tour, she upset world No. 3 Caroline Wozniacki in straight sets (6-4, 6-4). A day later in the quarter-final, she knocked off a tennis legend, in Venus Williams (6-7, 6-1, 6-3). Both Williams and Wozniacki are former world No. 1’s. Though Williams, 38, is not the player she used to be, beating her is still an amazing accomplishment for Andreescu. Williams is ranked 39th in the world and has won 49 WTA tournaments in her career. The Mississauga native is waiting to win her first. "I don't even know what to say!" Andreescu will face 28th-ranked Su-Wei Hsieh of Taiwan in the semi-finals tomorrow. If she can find a way to win that, she’ll have one of Julia Goerges (world No. 14, who beat Genie Bouchard in three sets today) or Viktoria Kuzmova (No. 50) waiting for her in the final.